Welcome to the Edmonton Oilers Community Foundation 2018 Hockey Fights Cancer Charity Auction in support of the Kids With Cancer Society. 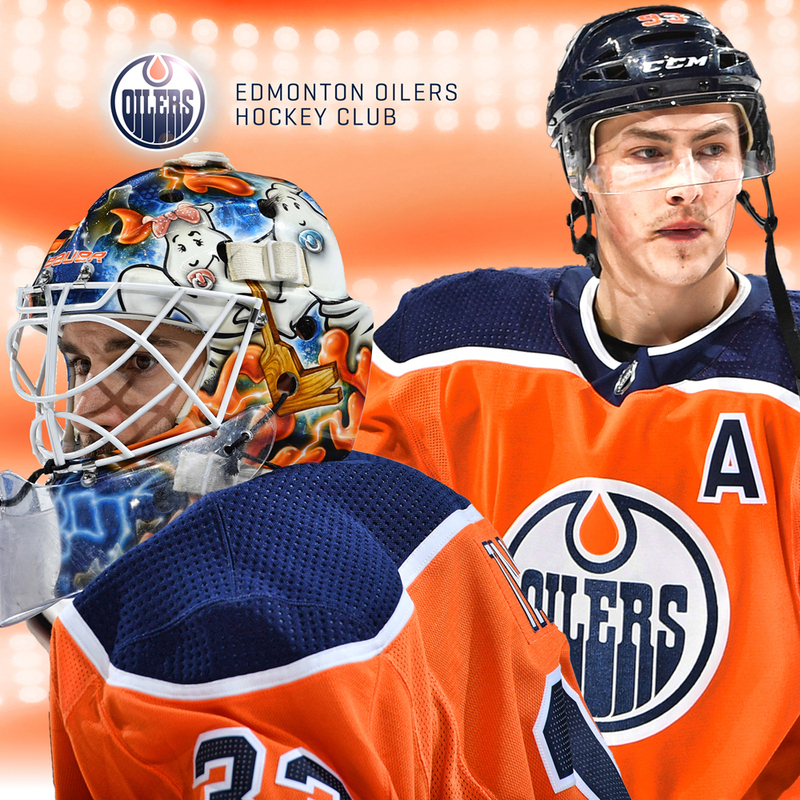 Show your support in the fight against cancer by bidding on this amazing meet and greet VIP experience with Edmonton Oilers forward Ryan Nugent-Hopkins and goaltender Cam Talbot! The Edmonton Oilers Hockey Club invites you and a guest for this private meeting in which you will be granted access to Rogers Place, where you will be able to first watch an Edmonton Oilers practice at the spectacular new rink. Following the on-ice session you and your guest will have a five-minute meet and greet with Ryan and Cam including the opportunity for autographs and pictures. The winning bidder will also be provided one 16x20 action photo of both players that they can have signed if they wish. Please note the winning bidder and their designated guest can have Ryan and Cam sign a total of four items each for a total of eight autographs per player, including the provided photo. Outside items are allowed but the player and Edmonton Oilers Hockey Club reserve the right to not permit the signing of any item that may be deemed inappropriate. Please note the meet and greet will be conducted on a mutually determined date between November 25 through February 15, 2019 and must take place following a non game-day practice. The package includes only the Oilers practice and meet and greet opportunity, and no other access or building privileges. Every effort will be made to accommodate the winning bidders preferred dates but the Edmonton Oilers Hockey Club reserves the right to final date selection which is subject to cancellation and re-scheduling due to unexpected team and / or building scheduling conflicts. All items will be shipped from Edmonton, Alberta, Canada via FedEx courier or regular Canada Post parcel service and charged based on shipping location, type of service, size and weight of the item. Customers from outside of Canada will be responsible for any and all additional taxes, duties and brokerage fees etc. Local bidders in the Edmonton and surrounding area may pick up their items free of charge to avoid shipping & handling charges. We will combine shipping for all bidders who win multiple items. For auction orders that are won from the same vendor within a 24 hour period, combined shipping may be applied. Please note, combined shipping will be allowed at the discretion of the team. If any discount on shipping is applied it will be reflected as a refund on your credit card.